Come join us January 27th, Saturday, from 10:00 AM to 3:00 PM. 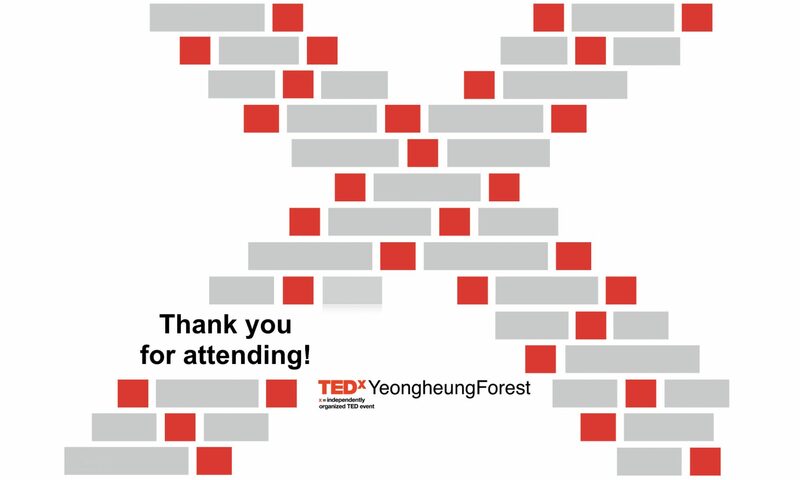 TedxYeongheungForest is excited to host a diverse range of speakers sharing ideas of belonging, togetherness, and unity. Come engage with the stories of North Korean refugees, the perfect tortilla, nudibranchs, the country-less countrymen and more. Transformative ideas you can spread for a lifetime shared by 12 amazing speakers!